This paper provides a description of the Accusative case in Tundra Yukaghir. Contrary to the previous analyses, I argue that Tundra Yukaghir has a syntactic Accusative case that is realised by two dedicated morphological forms, the distribution of which depends on a complex network of lexical specifications, the semantics of the NP and its structural properties. The description of the Accusative serves as a background for the discussion of two difficult questions of case theory. First, I show that Differential Argument Marking in Tundra Yukaghir cannot be reduced to one or more overarching syntactic or semantic features, as is commonly done in the literature, but is rather triggered by an idiosyncratic mixture of factors and is thus rather a matter of listing than of syntactic derivation. Second, I apply the method of mapping morphological properties of case on syntactic features and use recurring patterns to identify those features that are relevant for the definition of a syntactic case in Tundra Yukaghir. The method can be applied in various languages to help solve the difficult issue of identifying case. I am grateful to my Yukaghir consultants, in particular to Vasily N. Tret’yakov, for their invaluable help, as well as to Irina Nikolaeva for reading and commenting on one of the final versions of the manuscript. 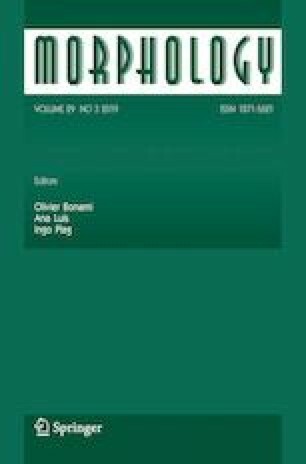 Thanks are also due to two anonymous reviewers and the editor of Morphology, Olivier Bonami, for helpful suggestions and corrections. All errors are my own. Haspelmath, M. (2018). Role-reference associations and the explanation of argument coding splits. MS, lingbuzz/004047. https://ling.auf.net/lingbuzz/004047. Matić, D. (2015). Discourse expectations as information structure categories in Tundra Yukaghir. Talk presented at Workshop on the semantics of African, Asian and Austronesian languages (Triple A 2), Potsdam. https://semanticsofaaa.files.wordpress.com/2015/05/matic.pdf. Nikolaeva, I. (Ed. ), 2013ff. The endangered languages and cultures of Siberia. http://www.siberianlanguages.surrey.ac.uk/the-endangered-languages-and-cultures-of-siberia/. de Swart, P. (2007). Cross-linguistic variation in object marking. PhD Dissertation, Radboud University Nijmegen. http://www.lotpublications.nl/cross-linguistic-variation-in-object-marking-cross-linguistic-variation-in-object-marking.